The latest in the efforts to finding medium ground to the complex Ayodhya dispute is Art of Living Founder Sri Sri Ravishankar, who was in town on Thursday, trying to speak to various stakeholders in the 68-year-old litigation. However, his attempt to act as a mediator between the two communities, if anything, has just pitched the babble of voices. Whether or not, this could lead to an out of court settlement is quite another matter. Here is a breakdown of who said what in view of Sri Sri's visit and what has been their role in the issue. 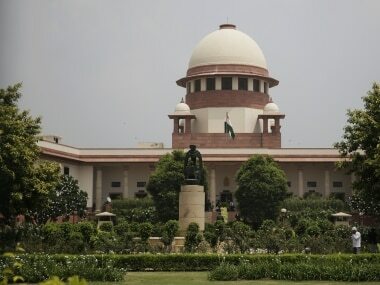 The Allahabad High Court, in 2010, had ruled a three-way division of the disputed 2.77-acre area at Ayodhya among Sunni Waqf Board, Nirmohi Akhara and Lord Ram Lalla. The modern, rather liberal voice amid Hindu gurus, Sri Sri is the latest entrant in the ring. In March 2017, the former Chief Justice of India JS Khehar suggested an out-of-court rapprochement among rival parties in the 68-year-old dispute, stating that such "sensitive issues involving religious sentiments" should adopt a "give and take approach" to arrive at a consensus, The Hindu reported. Sometime in October, the AoL chief offered to make a fresh start in the dialogue process and is willing to talk to all stakeholders to find a middle ground. Taking this forward, Sri Sri was in Ayodhya on Thursday to act upon his plans. He exuded confidence that a positive environment existed, however, he denied a comment on the possible path taken by him as a starting point, saying it was all too early to comment. He said, "I have not come with an agenda, but I know that people want to get out of this conflict", adding that dialogue was the only possible solution. "If court gives a verdict, one community is bound to feel left out. Even if court gives a solution this issue will reemerge after 100- 200 years. For a long-standing peaceful solution, it is better if the spiritual and religious leaders can come to a solution on their own," Sri Sri Ravishankar said. However, there have been many from both communities, who have questioned his intervention. While former BJP MP Ram Vilas Vedanti alleged that Sri Sri intervened in the issue to “avoid” being probed for his amassed wealth, All India Majlis-e-Ittehadul Muslimeen (AIMIM) president Asaduddin Owaisi said that Sri Sri was talking to jokers hungry for publicity and was trying to mislead the entire country. The Nirmohi Akhara, one of the three prime litigants in the case, has welcomed the dialogue route and Sri Sri's intervention. 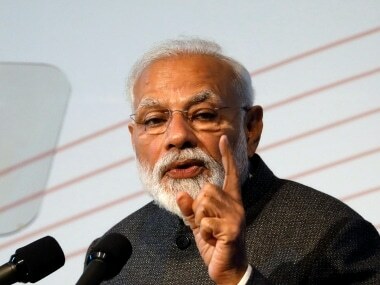 Speaking to India Today, a member of the Nirmohi Akhara said that with his intervention and a positive approach from both communities, they will find an amicable solution to the long-standing dispute. However, controversy has surrounded the dialogue process after India Today reported that the chief mahant of the Nirmohi Akhara, Dinendra Das has said that an amount between Rs 1 crore to Rs 20 crore is being offered to the Sunni Central Waqf board. He also said that Muslims will be given land elsewhere to build a masjid. “The compromise would be only this that they take money and vacate the land. We have land lying near Vidya Kund, we can give them that and Rs 1, 10, 20 crore, whatever makes them happy can be paid. We can also pay back the expenditure on litigation,” Das was heard saying in India Today's report. The Muslim body has refuted such allegations. 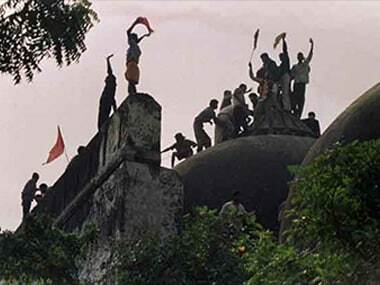 Such controversial allegation may overshadow the AoL founder's visit to the disputed site in Ayodhya. Despite the AoL chief's efforts, two key Muslim bodies have not strike a very conciliatory note yet. According to Times Now, key leaders from the groups rebuffed the mediation efforts. The Muslim bodies stated that Sri Sri had no legal standing on the matter and hence there was no point in holding any talks with him. They said that it has been made clear umpteen number of times that the Muslims will not back off from their traditional stand, if Sri Sri has any other formula, he may first convince the Vishwa Hindu Parishad and other Hindu groups and then come to us. “It is being said that Sri Sri Ravi Shankar is talking to all the stakeholders in the case but he has not yet contacted the top leadership of the All India Muslims Personal Law Board (AIMPLB) which is leading the Muslim side,” AIMPLB general secretary Maulana Wali Rehmani told PTI. He also claimed, “About 12 years ago, Sri Sri had made a similar move and had concluded that the disputed site be handed over to Hindus…what new formula he has found this time should be disclosed,” The Indian Express reported. Though the All India Muslim Personal Law Board (AIMPLB) is not a party to the case, being the apex Islamic body on religious and personal matters, it wields considerable influence among the community. The Akhil Bharat Hindu Mahasabha on Saturday expressed the hope that all obstacles to building a Ram Temple at the disputed site in Ayodhya would "wither away" and people would witness its construction very soon. Members of the Hindu Mahasabha and Nirmohi Akhara had met Ravi Shankar at his Bengaluru ashram. The Hindu Mahasabha has rejected other contrasting voices from other Hindu groups like the Vishwa Hindu Parishad. 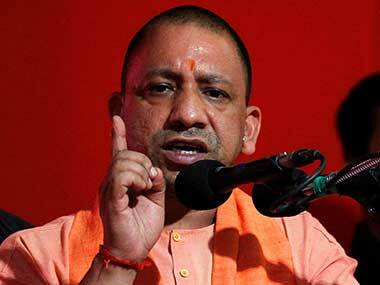 "There are three main parties — Nirmohi Akhara, Hindu Mahasabha and Sunni Waqf Board. These three parties have been recognised by the Allahabad High Court and they all have agreed for construction of Ram Temple. Other stakeholders or parties have come after 1949," he said. The Vishwa Hindu Parishad has voiced its doubts over Sri Sri's efforts, stating that several attempts of finding a solution through dialogue have failed before him and they don't think he would succeed in his mission. VHP joint general secretary Surendra Jain said, "This is not for the first time that Sri Sri has taken this initiative. In 2001, he made attempts but failed. The reaction to his efforts was the same as today. Somebody is calling him an agent of (Prime Minister Narendra) Modi while another is dubbing him a VHP agent. In fact, he is being insulted." "A way out cannot be found through talks. 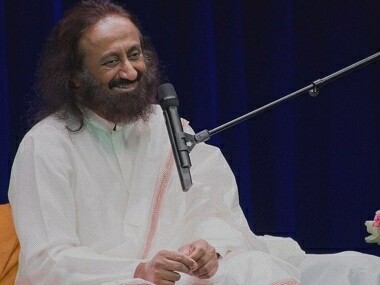 We doubt his (Sri Sri's) efforts will succeed," he added. The Nirmohi Akahada has, however, rejected VHPs statement saying they do not exist in the debate. Hindu Mahasabha has also rejected Sri Sri's efforts stating that he has no right to intervene in the issue, reported India Today. Mahant Nrityagopal Das, chief of Ram Janambhumi Nyas, after meeting Sri Sri said the people and saints of Ayodhya welcome Sri Sri Ravi Shankar on his arrival. "We wish good luck to Sri Sri Ravi Shankar for his initiative to resolve such a trivial issue by making a consensus between all the parties. Even we want that the issue be resolved in a peaceful manner," he said, according to News18. The Nyas is an organised trust formed by the Vishwa Hindu Parishad to promote and oversee the construction of a temple in Ayodhya. Shia Waqf Board chairman Waseem Rizvi met spiritual guru and Art of Living founder Sri Sri Ravi Shankar at Bengaluru on Tuesday. Rizvi also said that the Shia community was ready to back the construction of a temple on the disputed site for communal harmony. "I met Sri Sri Ravi Shankar and apprised him of the (Shia) Board's stand that a Ram temple should be constructed at the Ram Janmabhoomi in Ayodhya. I have met all seers and mahants contesting the case for the construction of a temple in court. All of them are ready for talks," Rizvi told PTI over the phone. "The Shia Central Waqf Board does not want any mosque to be constructed at Ram's birthplace. Instead, it should be constructed elsewhere in a Muslim populated area," he said. Sunni Waqf Board has rejected such statements stating that Shias did not have any locus standi and were not the litigants in the case. Rizvi has, however, said that said that the Shia community had all rights in the matter as the disputed Babri structure was initially a Shia place of worship and that up to 1944, it was run by Shia administrators. After this, the Sunni community got it registered but this was invalidated later, Rizvi said. Sri Sri is also scheduled to meet litigant in Babri case Iqbal Ansari. He has welcomed the spiritual leader in Ayodhya but has said that he doesn't feel he can achieve much through mediation. “I will meet Sri Sri Ravi Shankar and try to understand the formula first. However, the chances of any kind of negotiations are very low,” he told News 18. Iqbal Ansari is the son of Hashim Ansari, the original plaintiff from the Muslim side in the 60-year-old Ayodhya title suits. Haji Mehboob, one of the petitioners in the case, has refuted allegations of bribe by the Nirmohi Akhada chief mahant Dinendra Das. He said that the Muslims will never relinquish there claims to the disputed structure, he told India Today. He, however, added that if someone comes to talk to him, he will treat with courtesy. Mehboob has maintained that Ayodhya is the city of Ram but to build the temple, exactly where the mosque was is wrong. "The land of the mosque should be vacated. All the land there belongs to the Muslims. For the sake of peace and brotherhood, we are amenable to the construction of a temple. But to make it exactly where the mosque used to be is not acceptable," Mehboob had told Livemint in an earlier interview.